The Halloween creatures will flood the Stream from October 26th up to and including November 3rd. Detailed release information can be found on the Creature Release News thread. -You can gift unfrozen eggs and hatchlings to other people by clicking the "give" button on a creature's page or next to it in your keep. -You can give a maximum of three gifts to any one person but you can gift as many people as you like. -You can receive 25 gifts. -To see how many gifts you've got, go to your keep. The Gift amount is shown at the bottom of the page. -You can gift people up to and including November 2nd. -Opening gifts will be possible starting November 3rd. The Halloween Shop is back! The shop will be available from October 26th up to and including November 4th. The Halloween shop features a creature, a drink, and four items. Detailed creature release information can be found on the Creature Release News thread. The drink you can buy from the Halloween Shop is called the Pumpkin Punch. 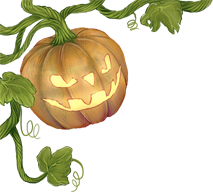 The items in the shop are four different types of pumpkins: Pumpkin, Jack-o-lantern, White Pumpkin and Purple Pumpkin. Naturally you can throw these squashy vegetables at other people. Yay? The Pumpkins will also be an essential part in a site-wide competition starting on October 29th and lasting up to and including November 4th, but you do not need to participate in the competition to be able to throw the pumpkins at other people. You can have up to 255 of each pumpkin, but you can only buy more from the Halloween shop if you have less than 30. To throw pumpkins at others, click on the pumpkin you want to throw, type in the target's name in the box that appears and hit "Throw". Welcome to the Halloween 2017 Squashy Pumpkin Wars! A very serious and important issue has been debated over at the great halls of the Keep. What is the best pumpkin color? The residents of the Keep have been seen arguing about this issue for a while now, and now it's time for all of us to help settle the matter. By throwing food items at each other. Naturally. It's time for the Great Pumpkin War! -The competition will run from October 29th up to and including November 4th. -There are three teams: Orange, White and Purple. The teams will be led by moderators. -There will be an icon on each person's profile indicating which team they belong to. -The Halloween Shop will carry four different pumpkins: A regular Pumpkin, a Jack-o-Lantern, a White Pumpkin and a Purple Pumpkin. Everyone who signs up for the pumpkin war will be given ten of each at the beginning of the competition on October 29th or at the time they are assigned to a team. -You can buy up to 30 of each pumpkins at a time from the Halloween shop, but you can have up to 255 each if people throw them at you. -To gain points for your team you will need to throw the pumpkins at other people. -Different pumpkins award different amounts of points and have different probability of hitting the target. -Throwing pumpkins at own team members may or may not reduce points from the team. -Throwing pumpkins at people not on any team will not reward any points whatsoever. -Throwing pumpkins may or may not also have other effects. Pumpkin: guaranteed to hit your target. Grants 1 point to your team if thrown at a member of another team. Jack-o-lantern: is just as likely to hit or miss your target. Grants 3 points to your team if it hits a member of another team. If thrown at a member of another team and it misses, the other team gets 2 points. White pumpkin: is slightly more likely to hit than miss your target. Grants 2 points to your team if it hits a member of another team. If thrown at a member of another team and it misses, the other team gets 1 point. Purple pumpkin: has a random chance of hitting your target. Grants randomly 1-5 points to your team if it hits a member of another team. If thrown at a member of another team and it misses, the other team gets randomly 3-5 points. If thrown at a member of your own team, reduces randomly 3 to 5 points from your team. If any of the pumpkins are thrown at people not in any team, no points will be awarded. If a person who is not in any team throws a pumpkin at a person who is in a team, no points will be awarded. 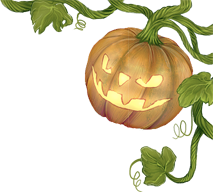 Each pumpkin also has a chance of handing out random % hatchlings of three of this year's Halloween creatures regardless of if the thrower or the target are a member of a team or not. -There will be prizes for participation as well as even more prizes for the winning team.